We’ll be honest, we were not expecting happy things from The Walking Dead‘s third episode, which had already been revealed to be focused on the activities of the captured Daryl and the Saviours. We already understood perfectly Negan’s insatiable lust for psychologically breaking people. We saw him crush Rick’s spirit to a traumatised pulp just two weeks ago (at least it wasn’t his head). Surely Daryl’s story would be no different to Rick’s. In many ways, there were a lot of parallels between the two stories. If you still had any inkling of doubt over Negan’s monstrous personality (you didn’t), ‘The Cell’ confirms that he is indeed as twisted, sadistic and brutal as first indicated. Negan likes to break people, and he likes his people compliant – two points doubly hammered home again tonight. However, in many ways ‘The Cell’ told a different story – and ultimately, it reached a surprising outcome. 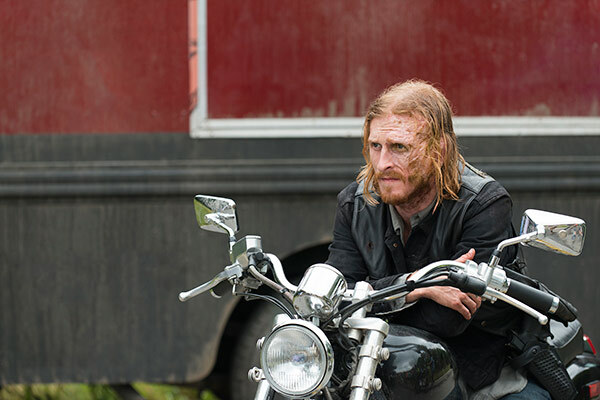 For one thing, the captured Daryl did not take centre stage at all, which was a place for series six douchebag Dwight – the guy who killed Denise and drove off with Daryl’s motorbike and crossbow. As Walking Dead often does so beautifully, we got layer upon layer of Dwight’s backstory in a slow burn. 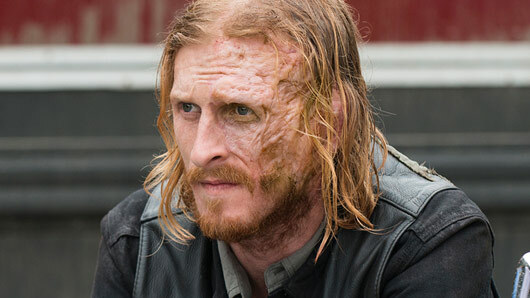 He transformed before our eyes from a despicable villain to a broken man condemned to survive in the harsh world of Negan. It was particularly telling, in a heart-wrenching scene towards the end of the episode where Daryl finally broke down into tears, that the listening Dwight clearly took no pleasure from his success. There were also glimpses of hope in the episode. 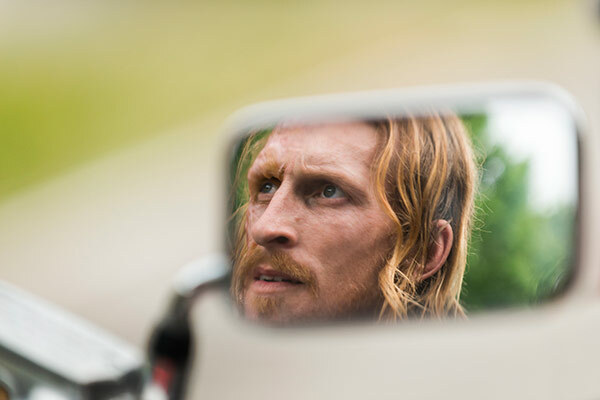 One attempted Saviour deserter, Gordon, provided food for thought when he asked why Dwight, and the others, followed Negan. He’s just one man, said Gordon, and we are many men. We don’t have to live in Negan’s world, under Negan’s thumb. It was foreshadowing as blunt as could be. We’ve asked ourselves how Rick and the group could possibly mount a revenge mission on the Saviours, and now it looks that when Negan does reach a sticky end – it will be at the hands of his own men. As Gordon rightly says, he is only one man. And finally, at the end of the episode, Daryl refuses to play the game. The star of the show was not Dwight’s tragic backstory, nor Daryl’s silent suffering or Gordon’s profound observations, however. It was the choice of music that juxtaposed beautifully with the harrowing scenes of torture on our screens. All three song choices through the episode were wonderfully on-point. The episode opened with Dwight and the Saviours’ daily lives, set to the tune of “A Town Called Malice” by the Jam, and ended with Daryl breaking to the tune of “Crying” by Ray Orbison. In between, we saw Daryl tortured to the gratingly-cheery “Easy Street” by Collapsible Hearts Club ft. Jim Bianco and Petra Haden. As we were confronted by the nauseatingly bubbly song again and again, we were slowly broken down at home as Daryl was on-screen. It was masterful. ‘The Cell’ reminded us that The Walking Dead doesn’t need gruesome violence or horror to play with our emotions. The power play between humans is enough, and the reveal of Dwight’s true relationship with Negan is painful and real. The excellent musical choices made throughout the episode only accentuates its pain, and in that, its success. The Walking Dead continues next week with a feature length episode on Monday at 9pm on FOX.